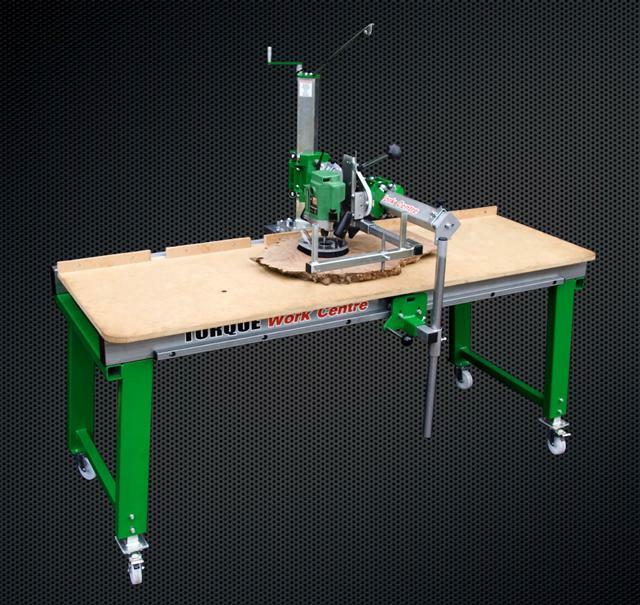 Do you want a Torque Workcentre? No – seriously. Have you seen all the footage I’ve made, read all the articles I’ve written and just wished you could afford one of these for yourself, but the $4000+ price tag has been just too much to be able to justify? I have been approached, to sell, a near new (virtually unused) 2 metre Torque Workcentre, with a 900mm arm, and the usual collection of accessories that are normally optional extras. Total of $4295. But what will it actually sell for? $3500? $3000? less? How low may it go? You’d have to pick it up from South-east Melbourne – it is fully assembled, and I am not wrapping it! At this stage I will consider offers if you (as Stu’s Shed readers) are really, really keen to own one (and really, really quick to tell me), otherwise this may become the very first Torque Workcentre on eBay. And no, before anyone asks: this is NOT my 2.5m Torque workcentre that sits in my workshop. Hands off!! Might just do that. Any idea of approx weight?? Or…..just how much would a road trip to Melbourne cost? The unit I took to the USA had the future owner drive from Texas to Denver to pick it up! How soon do you want the work centre removed? I will be in Melbourne mid May and could pick up then. If this is o.k. then I could pay now and collect later. I would have to at least partially dismantle it to fit in my vehicle. That would work for me. Partial disassembly is very easy. W can take the carriage assembly (including the vertical post, horizontal post) and the legs off with only a few bolts. It is how I’ve moved units around in the past (woodshows for example). BTW, forgot to mention it does come with the router mount- that is part of the standard package, so forgot to mention it! What did you have in mind about offers? Is it a dutch auction with the sale going to highest bid or ??? Point 3: if anyone bids high enough that it passes the second threshold, the auction ends immediately, and no further bids will be accepted, even if higher. That person immediately wins the auction. Oh, and finally, multiple bids are acceptable, so long as they are higher than the previous one submitted. Crikey, I certainly wouldn’t mind bidding. the sealed bid thing means that I have to toss it up between the worth of the 2 Meter Model when I am after a 3.5 meter model for contractor purposes. I can’t really evaluate that on sealed bid. Need a good week to think about this. A 2m workcentre becomes a 3.5m workcentre simply by purchasing a couple of replacement RHS steel beams and drilling and tapping a few holes (or sourcing them ready-made from Torque). If you get the 2m workcentre, and ever decide to get the 3.5 metre, you could use the carriage on the second machine, creating a 2-carriage 3.5. The carriage alone is $2k from TWC! You can evaluate it on a sealed bid – you bid what you’d be prepared to pay, and you know exactly what you will pay if you win. If you don’t get it for the price you are prepared to pay, then it was never in the equation anyway. Thanks for the info Stu, I’ll e-mail you this evening. The first acceptable bid has been received. Bidding will therefore close 3pm Thursday.